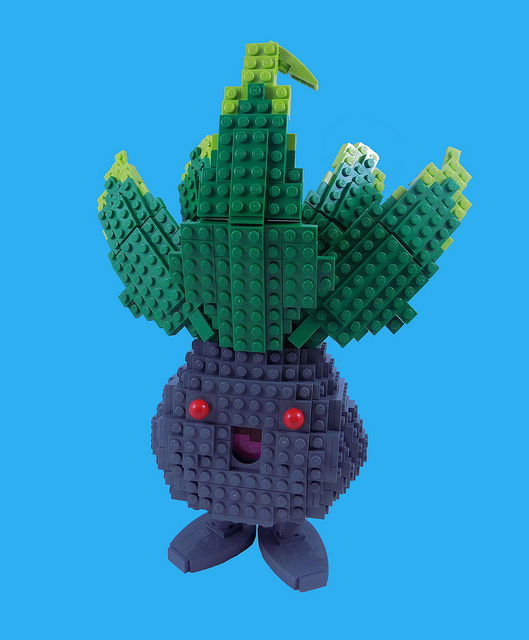 Whether from the recent Pokémon Go fad, or from the past twenty years of catching them all in other Pokémon adventures, this LEGO Oddish built by Tyler Halliwell is instantly recognizable. I love the way Tyler built the adorable little face of this grass/poison type Pokémon. How could one possibly throw Pokéball after Pokéball directly at a Pokémon this happy?